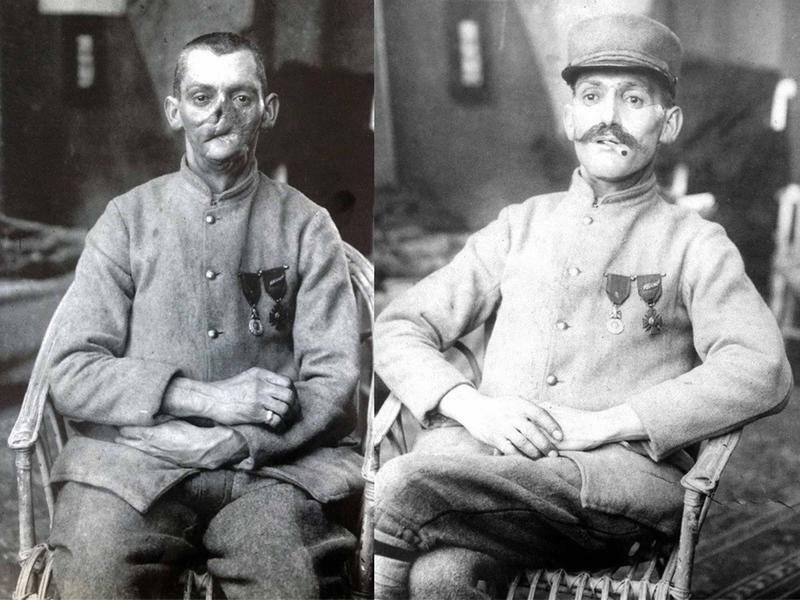 The First World War had caused the death of millions of adversaries and civilians alike, while countless soldiers agonized from injury and disfigurement. Worried about their homecoming, these men are wondering how would strangers regard them and how they would be treated by their friends and family. An option for some, surgery and skin grafting may be accessible, but many sustained trauma that weren't possible with surgery to repair. 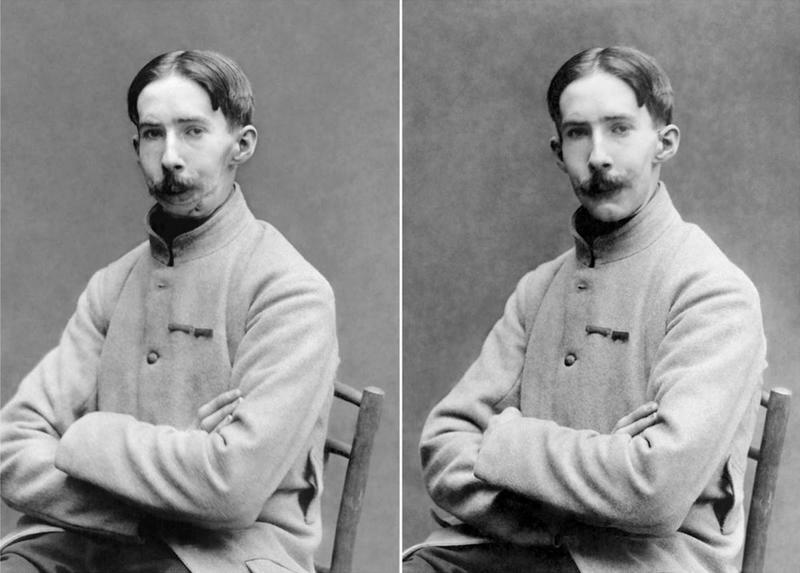 These ill-fated soldiers resort to portrait masks. 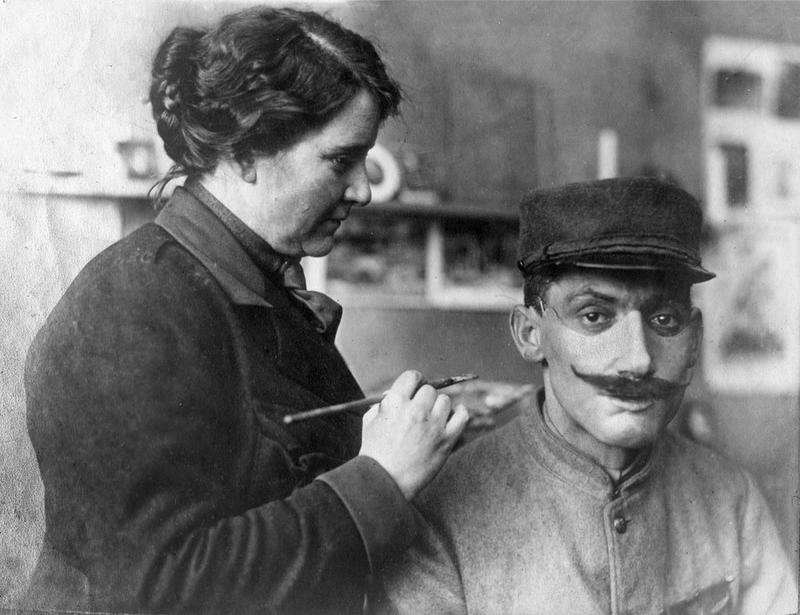 French soldier whose face was sadly mutilated in WW I was being fitted with a mask created at the American Red Cross studio of Anna Coleman Ladd, 1918. English sculptor Captain Derwent Wood pioneered these portrait masks, and improved upon by the American sculptor Anna Coleman Ladd. These masks were modeled from pictures taken before the injury and were coated in oils to resemble the original features of the patient. The top row of casts are showing the first step in the process. These were molded from the soldiers’ distorted faces.Then the bottom row of casts shows the molds along with restorative work sculpted by Anna Coleman Ladd. 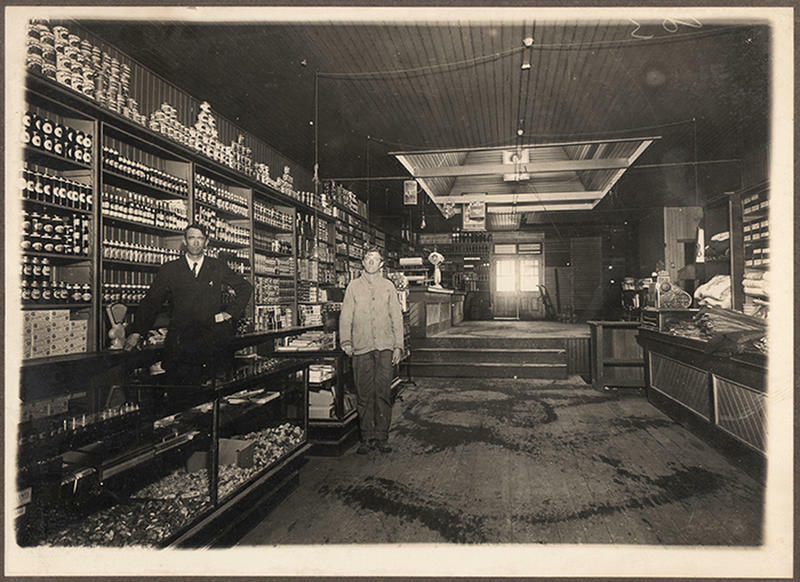 It all began when Ladd, who was then a sculptor and socialite who lived in Boston during 1971, was able to read about the work of a sculptor who managed what was called the “Tin Noses Shop”. 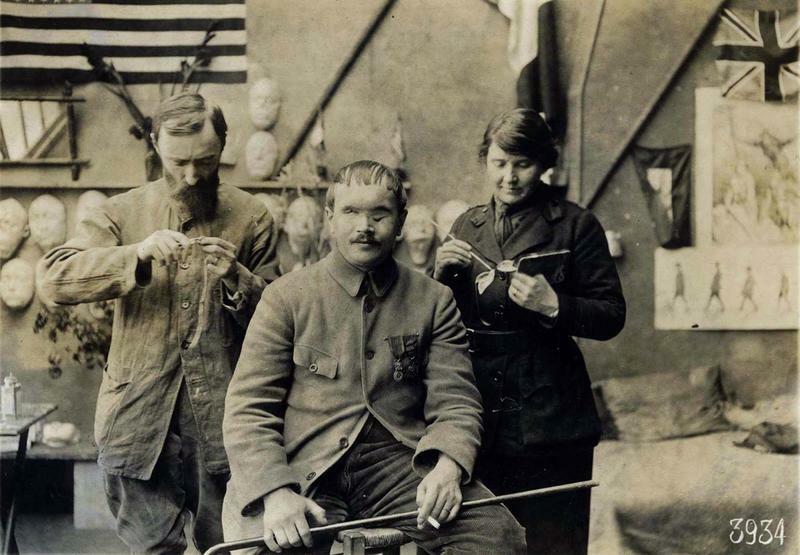 It is a mask-making studio for all the disfigured British soldiers. With this inspiration, Ladd set up her own studio in Paris and sculpted new faces to replace those who had lost a piece of theirs from trench warfare. Various portrait masks produced by Anna Coleman Ladd. 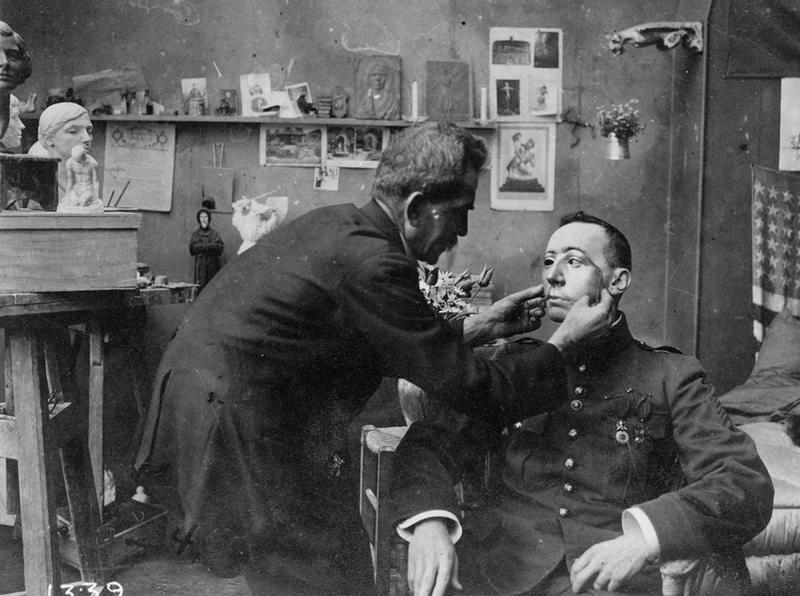 An image of Anna Coleman Ladd fitting soldier with restorative face mask. For customization, a moustache could be added. Anna took great care to generate masks that would permit men who gave so much for their country to come back home as physically whole as achievable. Several masks were held in place using spectacles but, if the soldier didn’t like glasses, alternative methods, like thin wire or ribbon, were used to secure the mask. 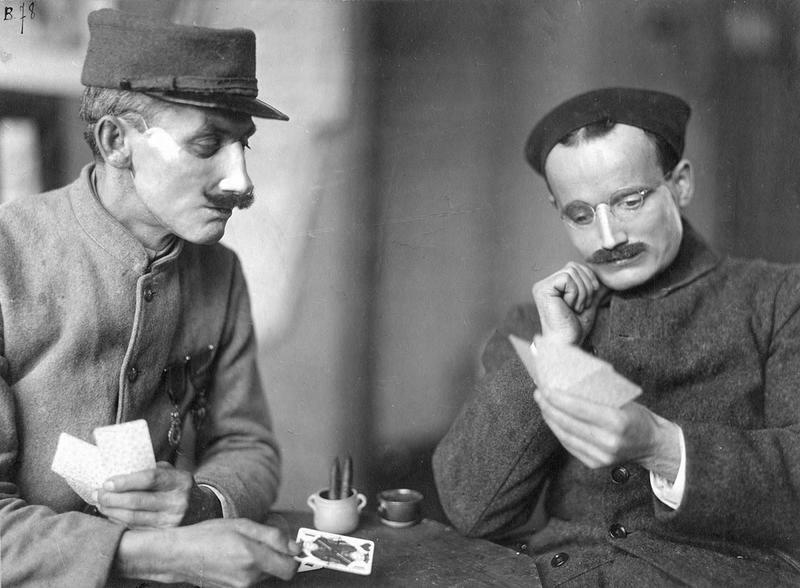 A photo of two soldiers play cards wearing Ladd’s handiwork. After a year and a half, Ladd and her colleagues had sculpted almost 100 masks, each one a labor-intensive accomplishment. The average cost of these portrait masks was only $18, largely due to the fact that Anna’s services were actually donated. At the end of the war, the Red Cross could no longer fund her studio, and eventually closed. Ladd returned to Boston, where she continued sculpting portrait busts as well as art for fountains. Before and after together with the mask. The soldier’s portion of body that was most susceptible was his face, because if he peeked over a trench, that was the first part going to be hit. 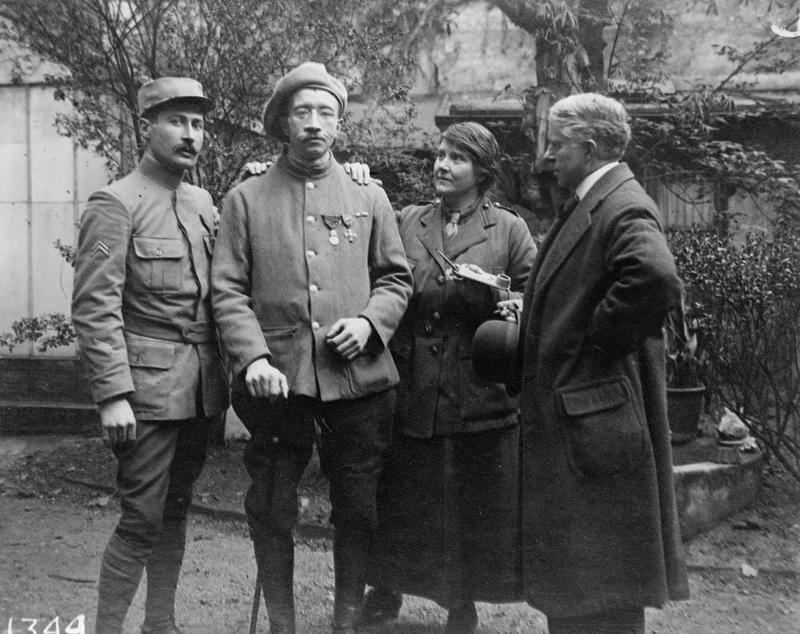 During 1932, the French Government made Anna a Chevalier of the Legion of Honour, recognizing the works she’d done. The present day equivalent to the work of Ladd then is the field of anaplastology --- an art and science for the restoration of absent or malformed anatomy by artificial means. A photo of before and after. The mask was tinted to match the skin color. 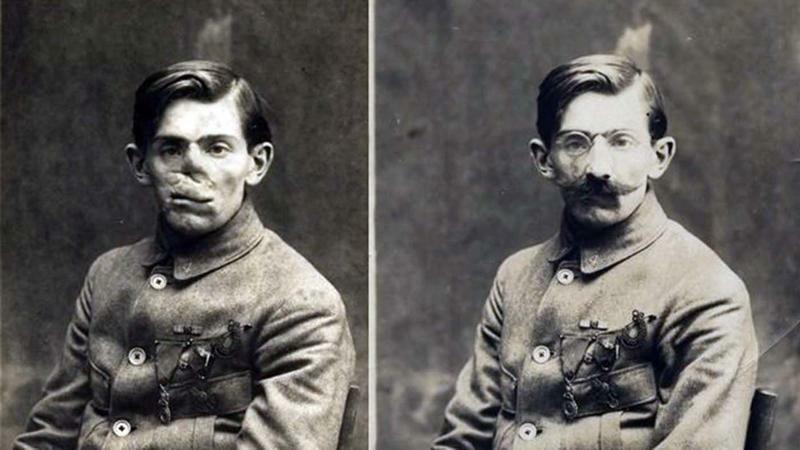 WW I veteran with and without wearing his mask. Anna Coleman Ladd with her assistant working on a new mask. A photo of Anna Coleman Ladd and her life-restoring masks.